On September 2, 1944 the 3rd Company of panzer Infantry Group 3 came to Hilden in the Bergisches Land in order to rest and regroup after the running fights in France and Belgium, the most recent of which had been the breakout of the Mons pocket. But during that regrouping phase allied airborne troops landed near Nijmegen on 9/17/44. 3rd ParaDiv, actually still in the process of formation, was immediately thrust into the defensive battles there. We were in action by early October. 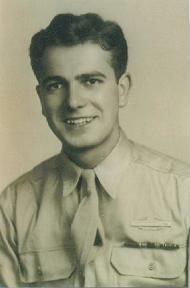 At times I had to lead the company because First Lieutenant Heene, the CO. died on 9/28/44. We were deployed as infantry because we hadn't yet got the anti-tanks guns back. Late October/early November 1944, we were relocated to the Hilden area to regroup once more. Late November 1944 3rd ParaDiv was shifted to the Düren area in order to relieve 12th and 47th VolksGrenDivs. More specifically, we were deployed along Reichsroute 264 Düren-Langerwehe and I seem to recall that parts of our division were among the troops that recovered Merode. I definitely remember that Sergeant Rehfeld died in that part of the battle. I had two 7.5 cm anti-tank guns left in my platoon and I positioned them to the left and right of the road Düren-Langerwehe, at about the level of house Barrier. Sergeant Keller was south of the road, Rifleman First Class Keilmann was north of it. After the recovery of Merode a calmer phase began, i.e. all we faced was enemy artillery fire and fighterbombers. But one really had to make sure not to be visible during the day just because of these fighter-bombers. In the night 12/09-12/10 I went to Captain Jüschel in Obergeich and had to jump headfirst off the road because of artillery fire. I fell into a tank-cover hole that was full of water. It was a bit more difficult to get out because the boots were filled with water too. On 12/10/44, in the morning, the first American tank assault occurred. According to a brief note that I jotted down in captivity, it was repelled. My note: "Morning: attack repelled. Keilmann (Herzog) destroy four tanks. Gun K (Keller) bows out in the afternoon. Runners sent for reinforcements. Keller can't leave while daylight." The second American assault, after heavy artillery fire and supported by strong tank forces, overran us. The gun K had stopped working previously. I have never heard from him or his men again, the same goes for Keilmann. I was taken prisoner in this wave, together with Rifleman First Class Erbes and other comrades whose names I can't recall. There were also comrades from the Jäger unit that had been deployed alongside of us. On our way to Langerwehe, as POWs, always past tanks, our artillery fired a few rounds. We were experienced enough to hear that it wouldn't hit anywhere close and thus we walked on with our hands folded above our heads (we had had to throw the helmets away earlier). Our guards took full cover though. First of all, we were searched for hidden weapons and in the process lost all our watches and personal belongings. A soldier searched me for weapons by means of knock offs. Then he ripped open the paratrooper wristband on my left wrist and looked at it, disappointed and startled. An officer without a watch? He himself was already wearing four of them. Then he had an idea. He ripped open the belt I was wearing and he was beaming when he saw a watch chain. He took my  silver pocket watch that I had gotten for confirmation. I still have the chain because he just ripped off the watch. On the other hand: another search a while later. A soldier wanted to take away my decorations. But an officer intervened and said: "These are decorations, he is allowed to keep them." Lieutenant Winkler arrived as a POW in a rifleman' s uniform. They had stripped him naked and he had had to take the uniform of one of his men who had been killed earlier after destroying a tank. There were many more tanks in Langerwehe, despite the attack that had just occurred. We were shocked and sad about the fact that our troops hadn't been able to destroy this hotbed despite our precise and numerous reports. Surely, we had thought, artillery fire or airplanes would do the trick. Unfortunately our means were already much limited at that time and more so because they had been taken aside for the Ardennes offensive. 12/11/44: since afternoon in a basement in Aachen. 12/12/44: terrible night in that basement, no possibility to relieve myself, in the afternoon taken to Herbesthal, a mud camp, threats, tents, and frost. 12/13/44: interrogation, frost, no blanket, 16 men in the tent. 12/15/44: in the afternoon taken to Namur in a cattle van. After the Ardennes offensive had started we were shifted repeatedly and in a hurry. The Ami in the rear was very afraid: "The Germans are coming!" Only on 12/31/44 I was taken to a so-called "officer camp" in LeMans. Before that we had been together with civilians and deserters.